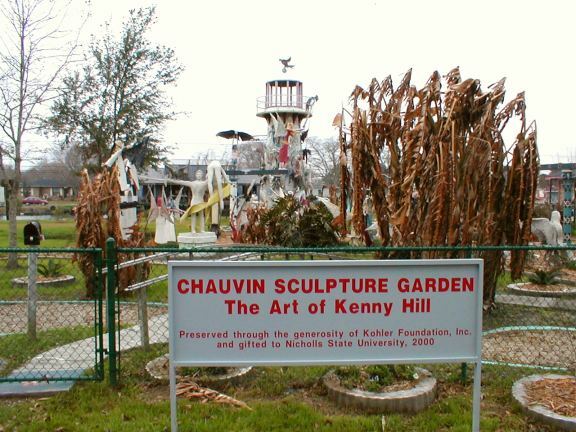 Kenny Hill paid bills by working as a brick layer in south east Louisiana. 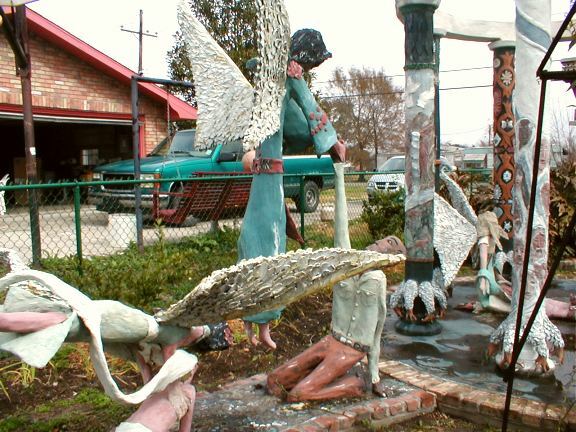 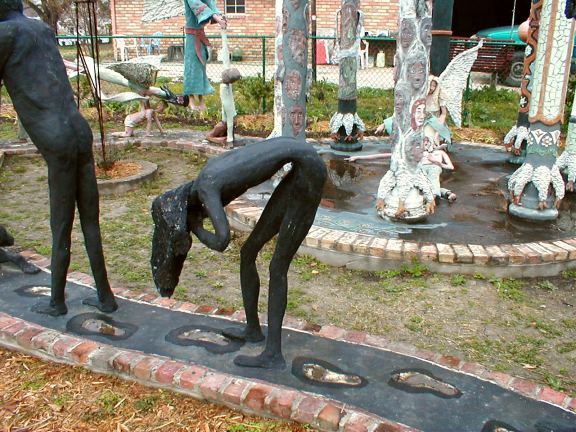 He started working on this folk art world in Chauvin, Louisiana around 1989. 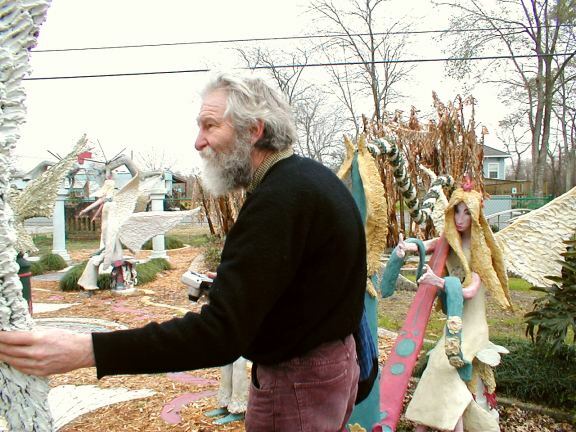 In January 2000, after an disagreement with his landlord, Kenny abruptly left the site. 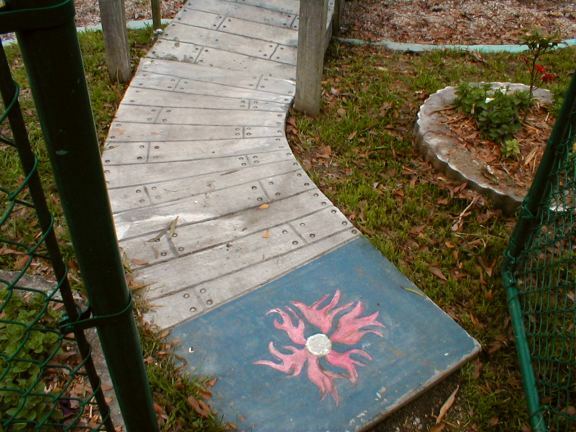 When visitors discovered his absence they found a hand painted message from the artist: HELL IS HERE, WELCOME. 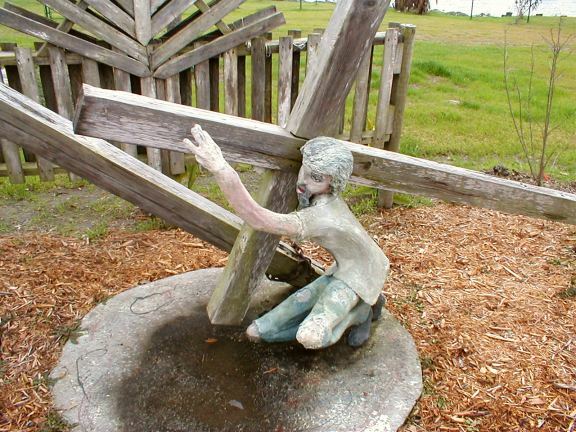 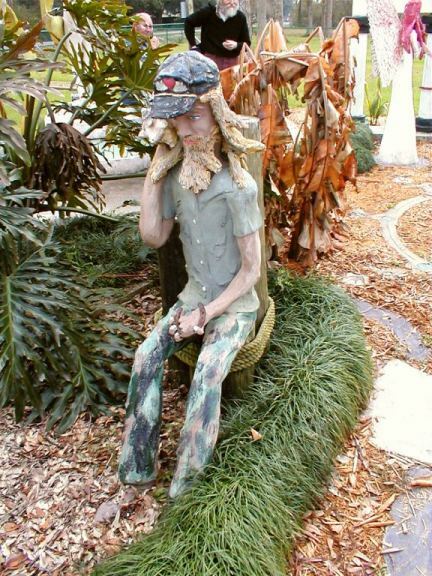 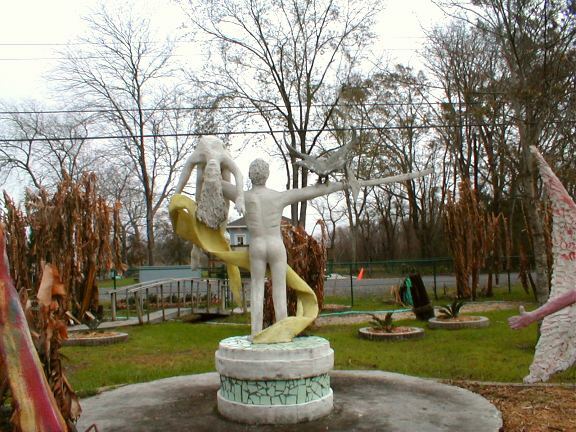 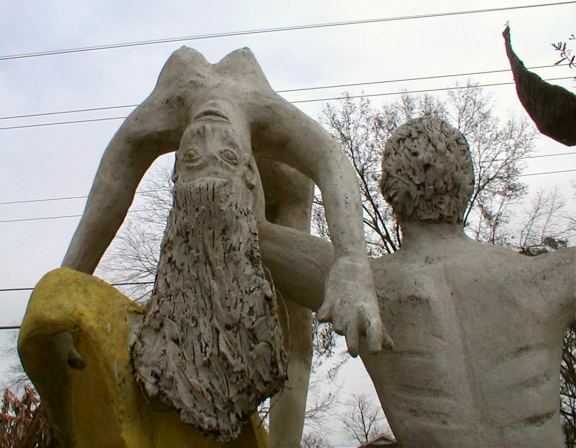 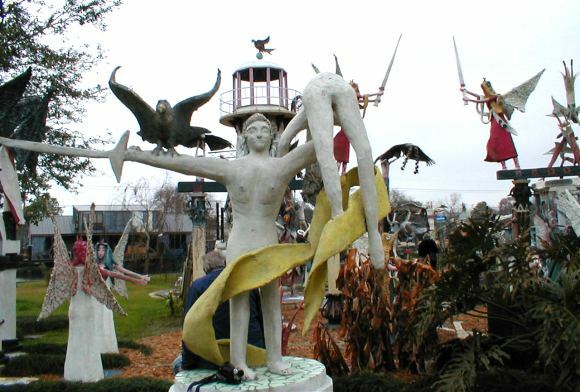 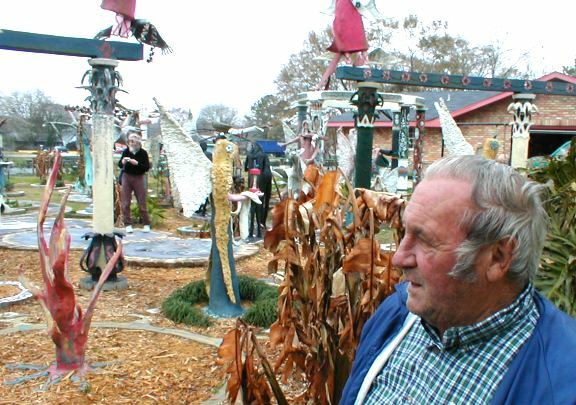 Kenny left over 100 concrete sculptures; his lighthouse is 45 feet tall and is the most prominent piece in the garden. 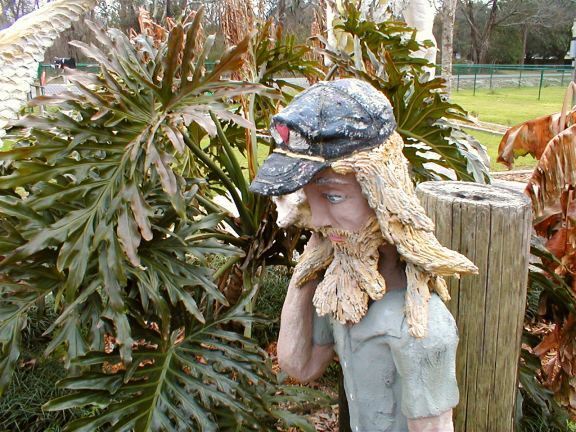 Some of the concrete figures look like Kenny. 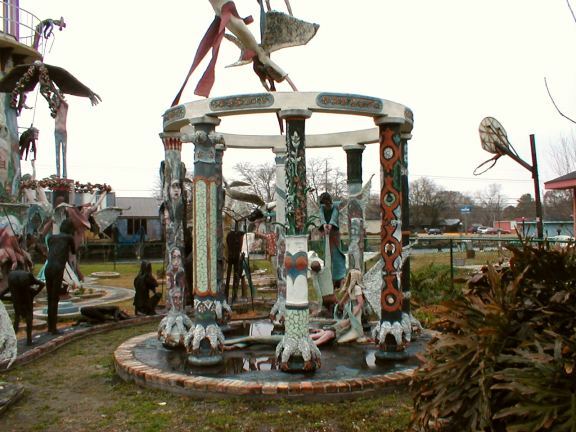 Chauvin, Louisiana is a good hours drive south of New Orleans. 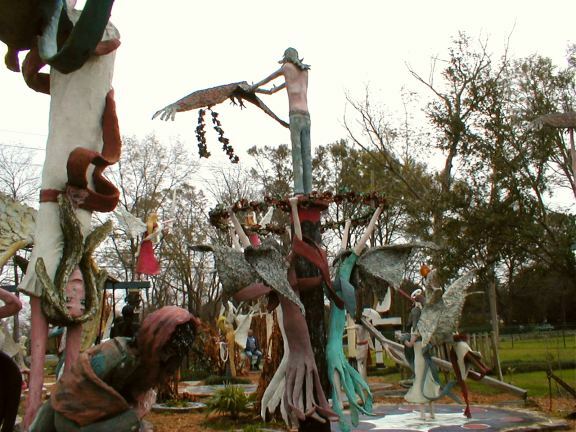 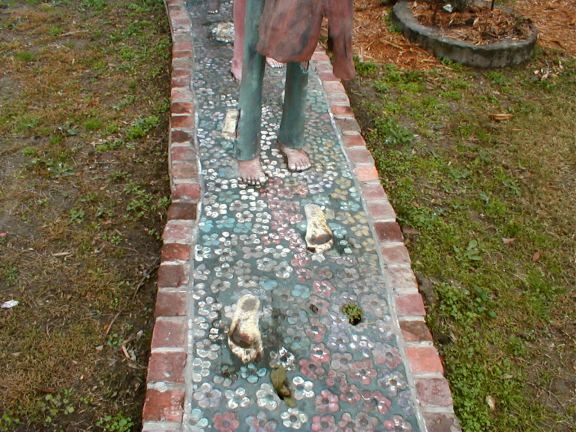 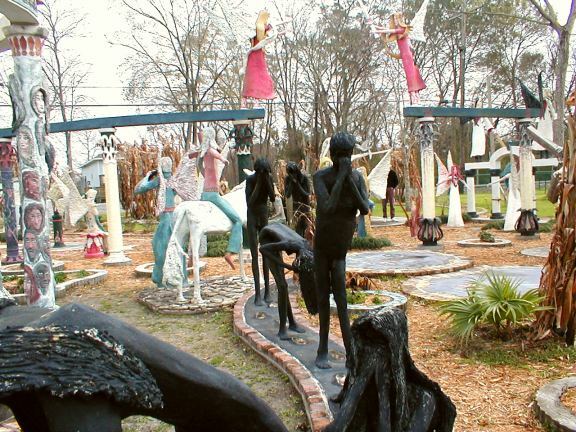 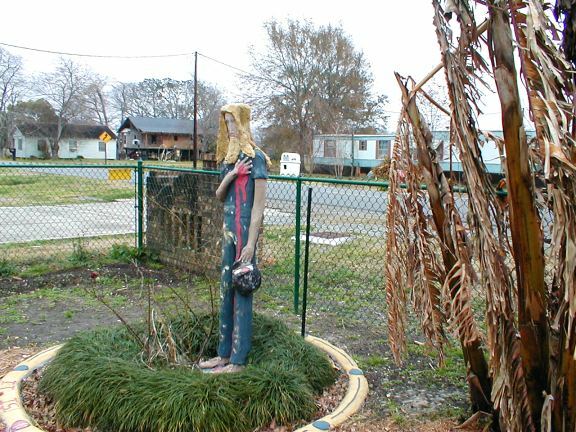 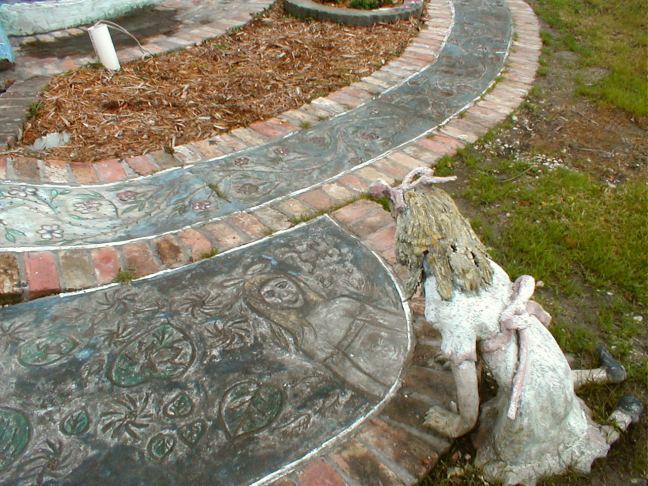 While in the New Orleans area be sure to see the Abita Mystery House in Abita Springs, another folk art environment. 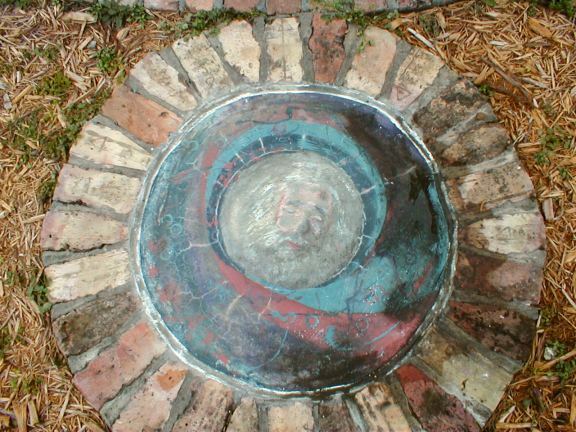 Isaiah Zagar breaking off a wing for a souvenir.